2018 Summer Reading program begins on May 21st and the first day to return books to count is June 4th! This year’s musical theme has June full of singing, dancing and getting your groove on. We have reading levels for everyone from babies in laps to grandparents! 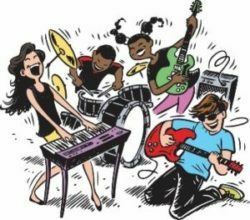 Stop in, sign up, get all the info, and be a reading ROCK STAR this summer!